The accounting requirements in Belize concern the preparation and the maintenance of relevant accounting records for IBC structures, one of the most commonly used legal structures. - storing the documents: they can be kept either in Belize or in another location. - making the records available: upon request, the registered agent is required to make the accounting documents available irrespective of the location where they are stored. - retaining the records: a specific timeline of five years must be observed for keeping the accounting records in Belize. The Belize offshore company formation process is a simple one and has a minimal number of requirements. Until recently, there were no accounting requirements in Belize, however, these were implemented but are not considered burdensome for investors. The Belize Accounting Records (Maintenance) Act is the legal resource for accounting and reporting matters in the country. The Act was issued in order to improve the regulatory framework but it is not impeding on foreign investors who wish to open an anonymous company in Belize. The provisions of this Act apply to the International Business Company (the well-known IBC) as well as to the Belize International Trust. The Act requires that all companies in Belize keep their accounting records at their registered office in Belize or at their Registered Agent’s office in Belize. Alternatively, these may be kept at another location in or outside or Belize, should the company directors see fit. These accounting records are to be kept for a period of at least five years following the date of the transaction, the closure of an account or the termination of a business collaboration. There are no mandatory requirements for a Belize IBC to prepare and submit the annual financial statements and there are no mandatory requirements for audits. Investors in Belize benefit from a light accounting reporting regime and the financial accounts are not accessible to the general public. The Belize IBC does not have to report to the Tax Authorities or to the Registrar of Companies. Companies in Belize may prepare the financial statements and the accounting records as per the International Financial Reporting Standards as Belize has not adopted any particular accounting standards or a particular accounting framework. The International Financial Reporting Standards (IFRS) are permitted in Belize in case of domestic public companies. Since there is no stock exchange in this jurisdiction, the standards are required for domestic banks (required by law) and permitted for other types of companies. The IFRS for SMEs is also permitted. The difference between the IFRS and the IFRS for SMEs is that the latter includes a more simplified policy as the general accounting principles are simpler in the case of small and medium-sized companies. These types of legal entities are subject to fewer disclosure requirements. As an alternative, companies in Belize can use other international financial standards, such as the U.S. Generally Accepted Accounting Principles (GAAP). As companies can opt for using the IFRS in Belize (including for small and medium-sized companies), our team of Belize company formation agents highlights the main key provisions of these standards. The complete financial statement set includes the balance sheet, the statement of comprehensive income, the cash flow statement, the changes in equity statement, the description of the accounting policies and the relevant notes to the financial statements, as needed. - the assets and liabilities for sale: the total assets that can be qualified as being for sale. As far as intangible assets are concerned, they are defined in the IFRS as those that are non-monetary without physical substance. They are included into two categories: those that can be sold, transferred or licensed and those that arise from contractual or legal rights. 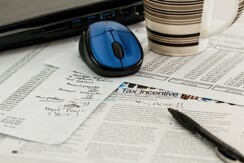 The statement of comprehensive income also includes important information about profit or loss. Included here are the gains and losses, the revenue, the impairment losses, the tax expenses. Additional items can also be highlighted in this statement when the information is relevant for the overall financial situation of the company. The cash flow statement is another one of the main types of statements that are included in the financial reporting principles, along with the balance sheet and the statement of comprehensive income. It presents the manner in which the cash and cash equivalents were used according to relevant categories like operating, investing and financing, all in specific periods of time. In the general financial situation of the company, it is useful for determining the legal entity’s ability to generate and use cash resources. The cash flow from activities related to investing and financing are reported separately. The same applies to cash flows resulted from dividends. The statement in changes in equity is another type of statement that refers to the total comprehensive income for a given period. It highlights the reconciliation between the carrying amount at the beginning and the end of the periods for each component of equity. Other issues to which the IFRS provides guidelines for companies include the change of accounting policies, segment reporting, the presentation of current assets and liabilities, the borrowing costs, related party disclosure, employee benefits, provisions for consolidated and separate financial statements and other topics. The local relevant organization for accounting purposes is the Institute of Chartered Accountants of Belize (ICAB). These light accounting and reporting requirements, along with a number of other advantages for investors, including high confidentiality and anonymity, are important advantages for those who want to open an offshore company in Belize. You can contact our Belize company registration agents for more information and details on how to open an offshore company and the requirements for the IBC.